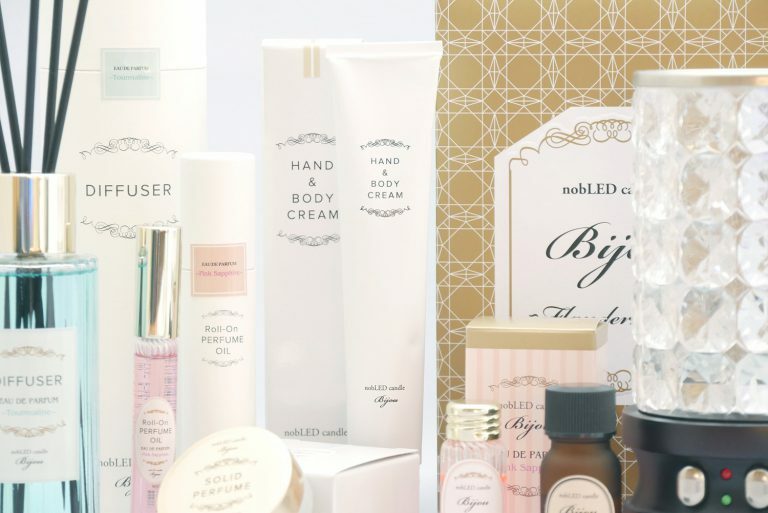 We have a range of products from LED candle to body care items by “nobLED candle Bijou”. They will brighten up your precious time and yourself with its sophisticated shapes. They are 2 types of scents, one is “perfume-based” and the other is “aroma-based”. Each has 3 different fragrances, and named after jewelry. 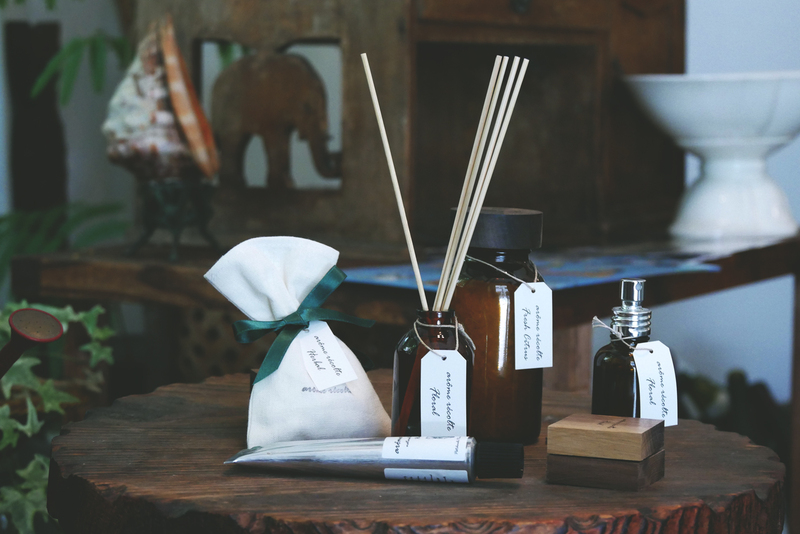 Perfume-based fragrances change the scents as time goes by. Just like a perfume, it has top-notes, middle-notes, and last-notes so you can enjoy the scent when you are using it. 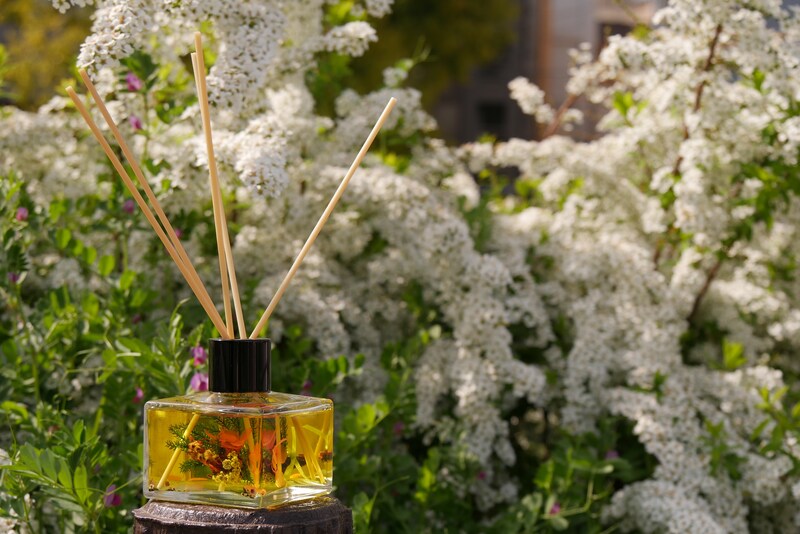 Aroma-based fragrances are made of essential oil. You can feel a gentle natural scent. Not only the scents, but also we focused on the shape. The design is considered for expressing clean, beautiful, and woman-like. Targeting on women, we considered the texture, and ingredients. 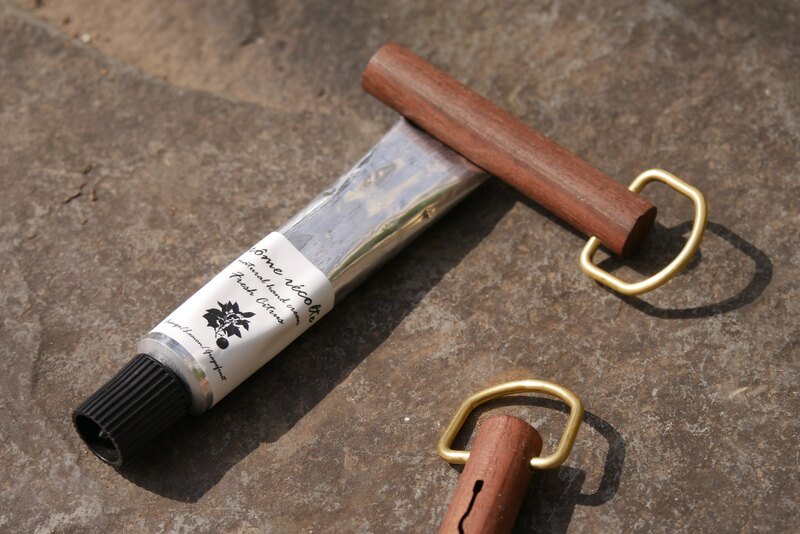 As for the hand cream, Argan oil, Squalane, Shea butter are blended for women who tend to have a rough skin. It gives you moisture but won’t get tacky after using. As for the solid perfume, bee-wax and jojoba oil are blended. Not only as perfume, but also you can use it on nails, and hair. Solid perfume is easy to use in daily life because it doesn’t emit scents too much compared to liquid perfume.